At Sony’s Gamescom press conference, Ubisoft CEO Yves Guillemot took to the stage to both pimp Watch_Dogs the game, as well as announce a Watch_Dogs movie being developed by Ubisoft Motion Pictures and produced by Sony Pictures and New Regency. Also announced was Watch_Dogs content that would be exclusive to PS3 and PS4 that included an exclusive character skin, level and weapon. Ubisoft Motion Pictures is already working with New Regency for movies based on the Assassin’s Creed and Splinter Cell franchises. 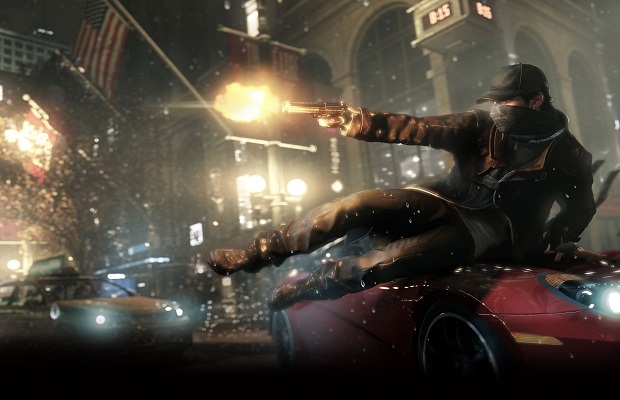 Watch_Dogs will be released for PS3, Xbox 360, PC and Wii U on Nov. 19 with an unspecified release date for PS4 and Xbox One. What do you think about a Watch_Dogs movie being produced by Sony? Let us know in the comments below or follow us on Twitter and like us on Facebook.